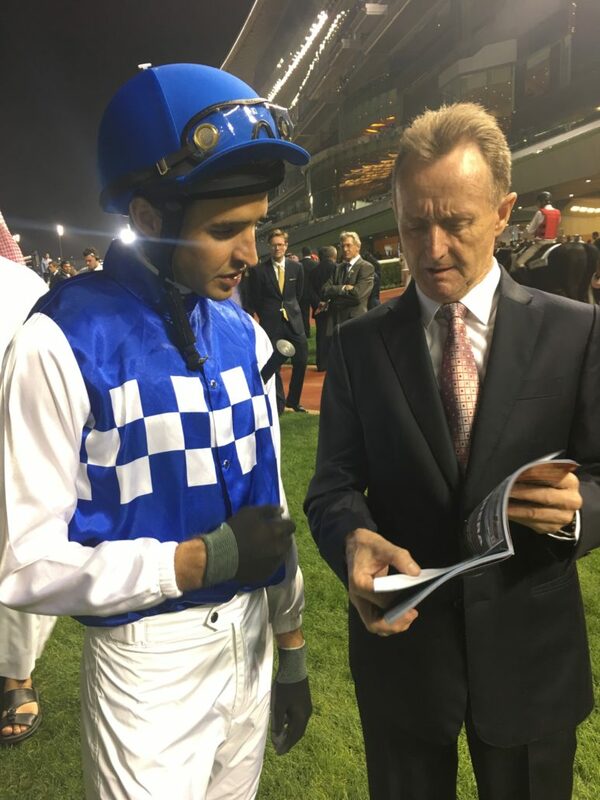 With racing in his blood, Steven Burridge has been involved in the racing industry as a professional jockey and trainer for over 35 years. 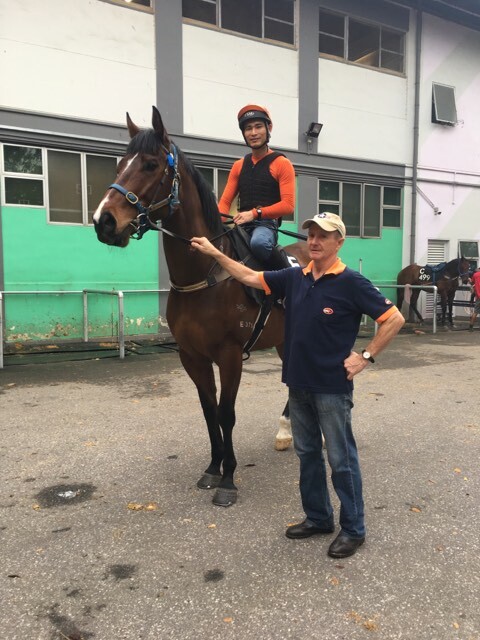 This rich experience certainly gives him an edge in the competitive training ranks in Singapore. Steven is a great believer in the use of rest for horses and has no hesitation in sending the horses for a spell when necessary. Steven had considerable training success with many horses including LIM’S LIGHTNING, AUTUMN RUSH, CHALAZA, SPIRIT SEVEN, BALLISTIC, KING AND KING, TRIGGER EXPRESS, WILD GEESE, RISKY BUSINESS. 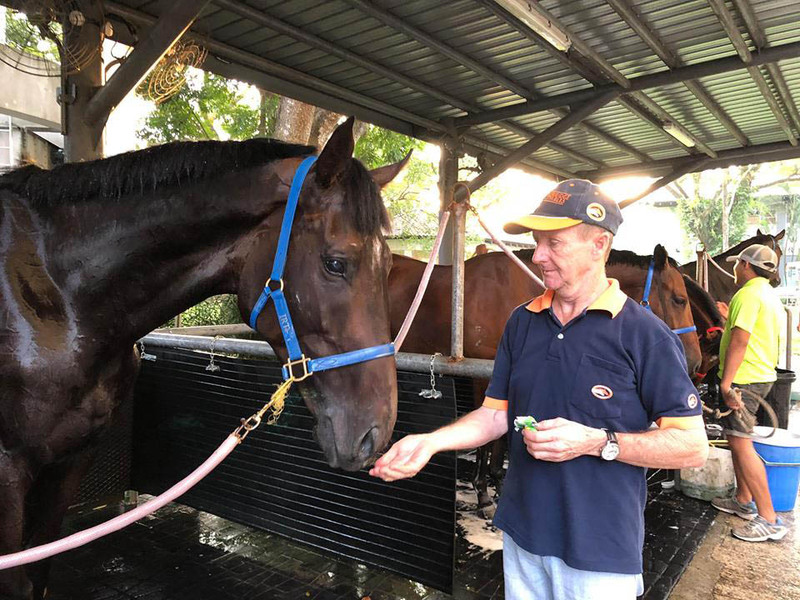 Steven Burridge has been in the racing industry since 1970 when he started out as an apprentice jockey licensed by the Victoria Racing Club. 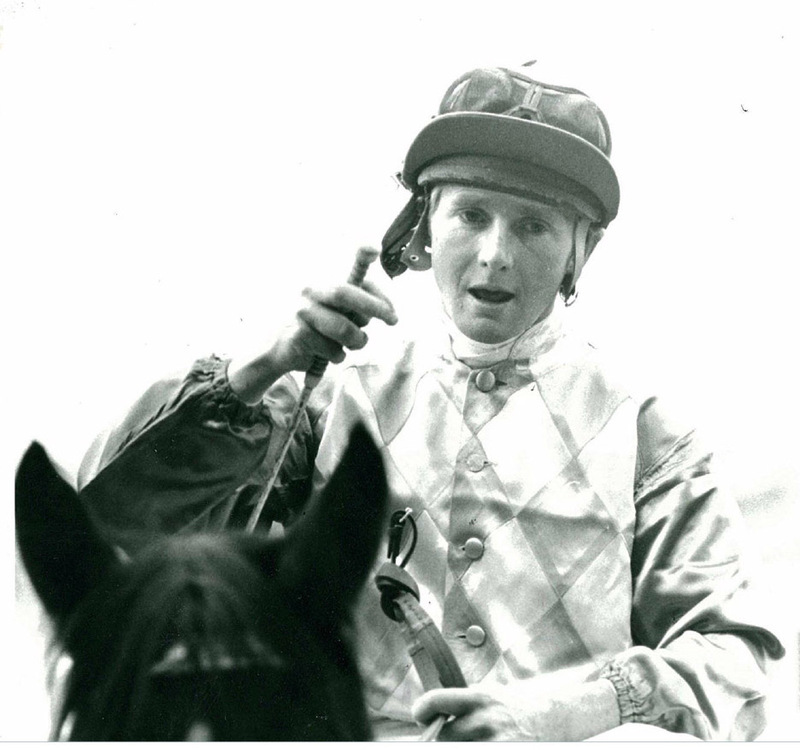 He received his professional jockey licence in 1975. His numerous peak moments, include winning on a young Super Impose, on its very first race start. Another defining victory was winning the Group 1 Oakley Plate on Mighty Avalanche in 1984. After 18 years on the saddle in Australia, Steven decided to try his hand at the lucrative Asian circuit. He subsequently enjoyed a successful 5-year riding stint in Macau. He rode on the MRA circuit with a visiting jockey permit in 1987 before riding in Macau from 1989 to 1994. 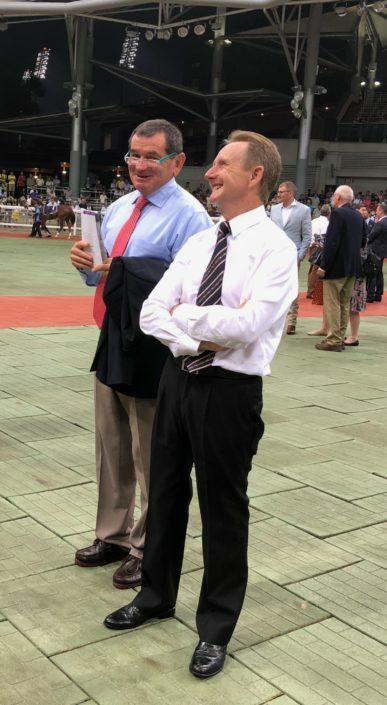 It was also in Macau that Steven took his first interest in Bloodstock. Steve started buying horses for owners in Hong Kong and Macau and was very successful at picking horses that trained on to be multiple winners. With weight getting the better of him, in 1992 Steven decided to call it a day as a jockey. He then concentrated on Bloodstock and eventually received an offer from his former boss Claude Charlet to move to Singapore. Steve took up this opportunity to try his hand at assisting a trainer. Steven Burridge returned to the MRA circuit in 1994 to work as a track rider for several trainers. From 1999, he was Stable Supervisor to several trainers in Malaysia and Singapore before becoming a trainer in his own right in 2005. Steve took to the life in the training barns and early mornings with a stopwatch, like a duck to water. 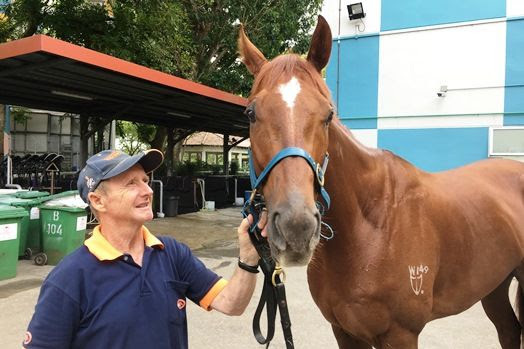 It was not long before he was asked by compatriot Michael Kent to help set up the yards at the former Bukit Timah Turf Club. During this time, he got to know his future wife, Julie, who was riding track work in Singapore. The pair not only became inseparable off the track, but made a skillful team in preparing horses. 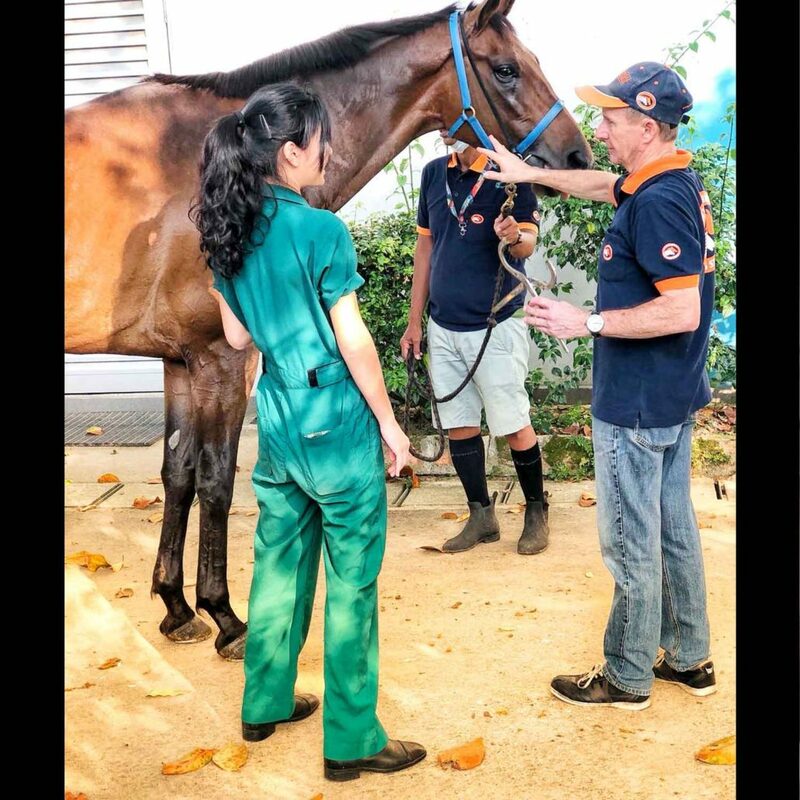 Two years later Steve and Julie moved to Kuala Lumpur, Malaysia, to work as assistant trainers where Steve had considerable success with many horses including Ballistic who won the Penang Gold Cup and the Coronation Cup in 2000. With an eye on the future, Steve moved his operations to Singapore in 2002. 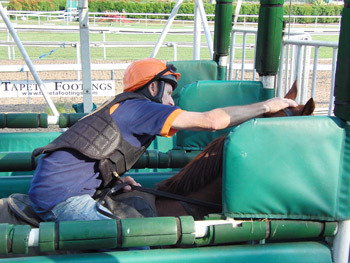 In 2003, he was granted his full training license and 45 stables by the Singapore Turf Club. Since then the stable has gone from strength to strength. Steve’s father, Harold Burridge, was a jockey and young Steven was eager to follow in his dad’s footsteps. At age thirteen, Steve was sent to trainer John Patterson to start a career that would eventually see him ride over a 1,000 winners in more than 10,000 race rides. In 2005 Steven notched up his first Group winner with World Airlines in the Jumbo Jet Trophy. In 2006 King And King won the Queen Elizabeth II Cup. 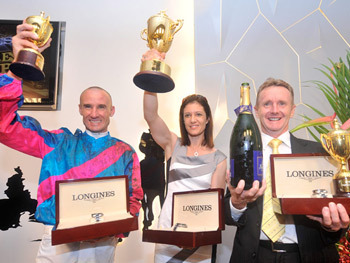 King And King also ran a credible 2nd in the Singapore Airlines International Group 1 race. In February 2007, He took the Group 3, Three Rings Trophy with World Delight and was runner up in the same race with Graduate Boy. In 2008 Trigger Express won The Queen Elizabeth Cup. 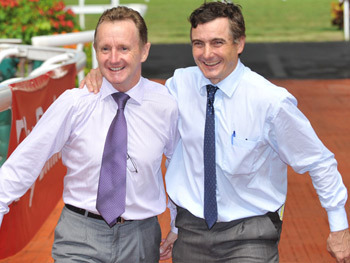 2010 saw team Burridge win the prestigious Singapore Gold Cup with horse Risky Business, but Steve’s biggest and best achievement to date has been winning the Trainers Premiership for 2010. Burridge was quick off the mark, earning the distinct honour of being presented the Queen Elizabeth II Cup by Her Majesty herself in 2006 after KING AND KING won the Group 2 event, which he went on to win two more times, in 2008 (TRIGGER EXPRESS) and 2014 (WILD GEESE). 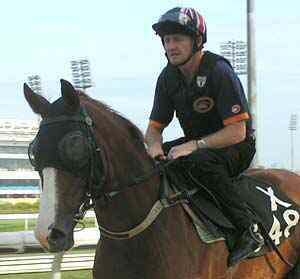 Burridge was crowned Singapore champion trainer in 2010, the same year he also captured the time-honoured Singapore Gold Cup with RISKY BUSINESS. His next big win at Kranji was the Group 1 Patron’s Bowl with SPEED BABY. 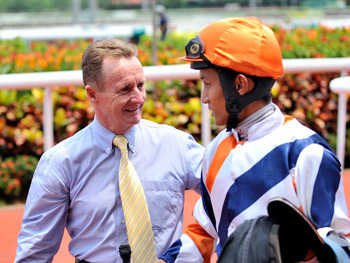 Burridge often crosses the Causeway to plunder cross-border events at his old hunting ground, and has achieved a high strike rate, netting thus far two Penang Gold Cups and three Piala Emas Sultan Selangors in five years.